Of course I couldn't keep wearing it today and was complimented by a total stranger who said that the scarf is not just beautiful but VERY beautiful :))). The minute I saw the photo of this beautiful scarf I knew you were responsible for it. You are such a ralented knitter. 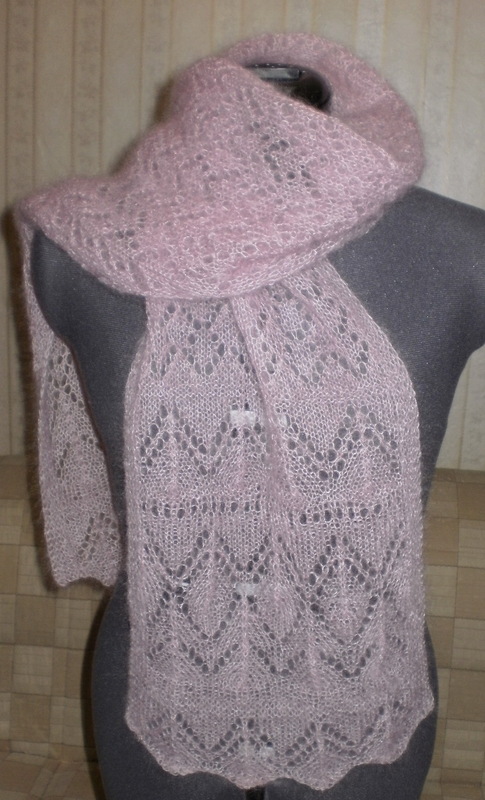 I love Drops site and and I am visiting them very often though I am not a good knitter myself. Thank you so much, Maricou. This pattern is not that difficult and it is available in French at Drops web site. This is really Beautiful!! It really is the most beautiful thing I've seen a topic of scarfs!! Ohhhh, I envy your hands! !